Enhance your boardroom and managers' offies with OMM London Furniture's quality collection of leather executive seating and managers chairs. Featuring a distinctive sculptured double-shell construction and deep padding, the Opus collection of seating offers exceptional comfort and support for the body. 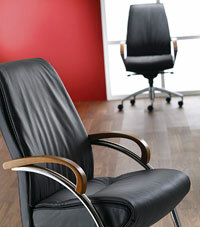 A sleek and elegant choice, the Zante Executive chair boasts overwrap leather or fabric upholstery stylishly contrasted with chrome arms and base. You can also enhance the look with wooden arm detailing. 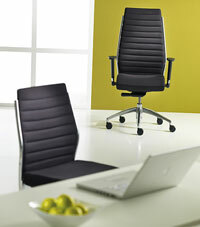 If you want contemporary design teamed with practicality, then Plan Executive are the chairs for you. With either ribbed or mesh upholstery, Plan offers a sleek and comfortable seating solution, perfect for all executive and conference applications. 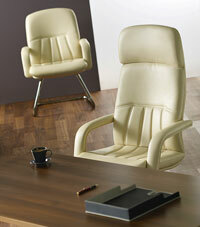 Virgo Executive certainly delivers when it comes to comfort, but also looks great. 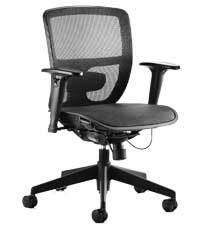 It has a very modern, durable mesh seat that allows your body to breathe, and armrests set at the best position for resting. 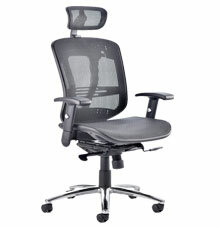 The ergonomic wired mechanism means that you have easy and accessible control over the chair's functions. Always a favourite with our customers, the Mirage-2 range of Executive and Managers Chairs delivers contemporary design and superb functionality. Staying true to the Mirage ethos, these chairs feature improved functionality to include an anti-shock synchro-tilt mechanism and seat slide. Mirage-2 still has the classic design, but also features a breathable mesh, contoured seat and backrest to provide optimum comfort. 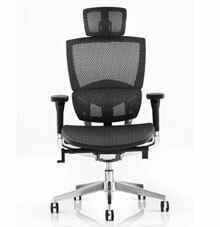 An innovation in office seating, the Alpha family incorporates a split backrest design with weight-resistant lumbar support, height adjustable arms and multipositional armpads. Aesthetically, Alpha can't be beat, teaming a polished aluminium frame, including 5-star base, waterfall seat for improved circulation and stunning black upholstery. You can be assured of a professional and truly competitive service when you shop with OMM. We have a range of solutions to help you choose the best products for your business needs. With OMM, you can purchase, lease or rent your office furniture.